Here's a problem you face right now. It's cutting the apple and coring it takes a lot of time. What makes this even worse is the fact that without the right tool the cutting and coring is tedious and messy! Which means you think of the hassle of cutting the fruit and you don't feel like eating it already. 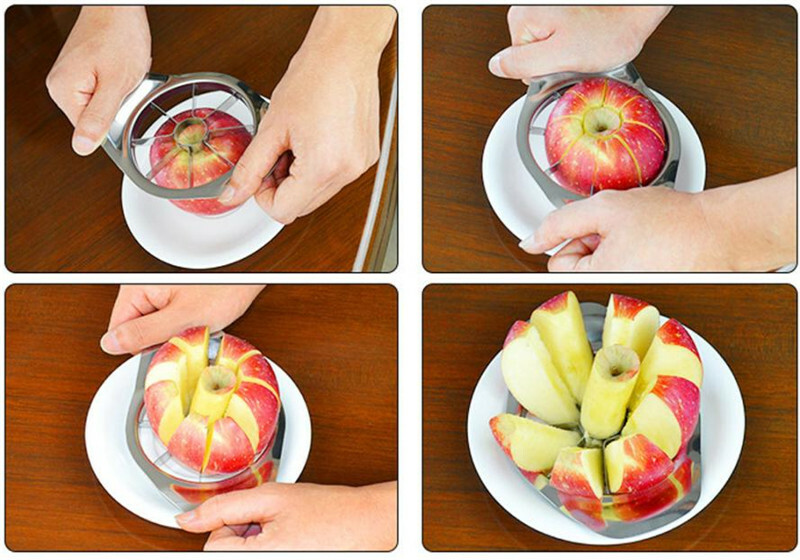 EzyCut Stainless Steel Apple Slicer is an amazing new Apple Slicer that helps every fruit lover who loves to eat apples and pears but doesn't want the hassle of cutting the fruit to save time and enjoy your fruit fast and easy and save valuable time and enjoy the fruit right away.